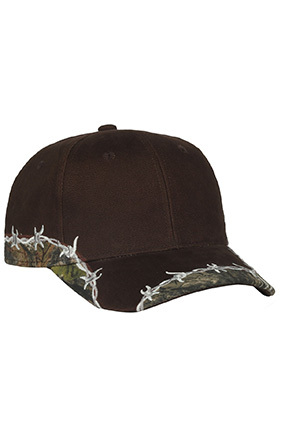 Cotton/polyester blend barbed wire camo cap. Structured. Mid-profile, six-panel. Pre-curved visor. Hook and loop closure. Camo brand woven label over back arch.